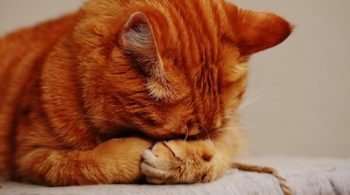 Feline inflammatory bowel disease is a common problem in cats today. A few decades ago, it was virtually unheard of. But the way cats are treated, fed and their health care has all undergone a big change in that time. Not for the better, at least not for the cats. And this is where our concern is. 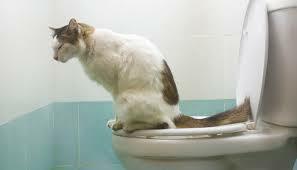 Feline bowel problems shows two areas of imbalance; one is the diet and the other is the poor immune system. 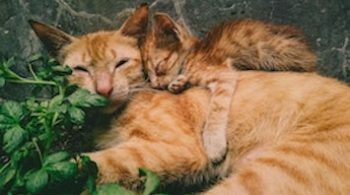 The name isn’t important, so feline irritable bowel problems, cats with IBS, parasites and a dozen other names implying a bowel problem, all come under this heading. Let’s first look at the diet. Most people are persuaded to consider commercial cat food as the ultimate in health food. This is accomplished by clever marketing, by pretty packaging and usually endorsed by vets. 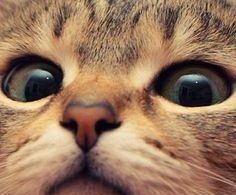 However, when you look closely at the ingredients of the typical commercial cat food, you realise you have been fed a myth. So let’s look closely. Most commercial cat food, whether wet or dry, contains low grade animal protein. After all, all the best cuts go to the more lucrative human market. What ends up in cat food tends to be the rejects, that usually find their way to rendering plants. These plants take all the waste from slaughter houses (including lots of fat), council road kill collections, veterinary carcasses, zoo carcasses and farm animals deemed unfit for human consumption. Rendering plants have no hygiene laws to abide by, unlike slaughter houses, so the collections can be left out in the baking summer sun for days. The product from rendering plants usually goes into the cosmetic and soap industries, but much is bought by pet food companies. This usually forms the sum total of the animal protein. To bulk this out, any carbohydrate that is in surplus on the world market can be used – whether it is grain, tapioca (marketed as grain free) or any other plant based food. Then come the additives to make it look more appealing to us, to smell and taste appealing to cats, to try to address the shortfall in nutrients, and to preserve. These are all chemical additives, as natural additives are more expensive. Now let’s look at how wild cats eat, and domestic cats of earlier times ate. Cats are true carnivores and can’t digest or utilise plant based food, unless it is their choice for medicinal purposes. So carbohydrates are OUT. Cats are NOT scavengers. The kill and eat immediately. Freshness is essential. Cats eat the WHOLE carcass – bones, organs, muscles, the lot. They need the BALANCE a whole prey provides them, not the rejects. Cat prey is normally low in fat – prey animals are fit and able to get away from their predator. Now I ask you, which diet provides a cat with the best nutrition? Because commercial cat food companies are wealthy corporations, they instruct veterinary students at college. Can you connect the dots? Is it any wonder feline inflammatory bowel disease is so rampant today? Now let’s look at the other culprit in cat health, their health care. Veterinary health care has boomed in the last few decades. Again, I suggest this is because the marketing is so good, rather than the system. I know of vets who became disillusioned about the extent of their modality of health care within months of starting in practice. The open minded ones go looking for better options to offer their patients. The fact is that the medical (and veterinary) health care system is in the dark ages when it comes to linking the causes with the effect. Even if they could, they have nothing to offer. To illustrate my point, I recently read about a horse who had been in a road accident. He had received veterinary care for that. Over the next couple of years, his health declined further and further, with more and more veterinary care. His feet became the focus of their treatment as this was where he had the biggest problem. Finally, the vets ran out of options and suggested killing the horse. Luckily his person was not ready for this and, at last, called a homeopath in to help. She treated the cause of this, the accident that was not properly (energetically) dealt with. The horse went on to make a full recovery. Treating the effect of a problem will never give you more than a temporary respite. Treating the cause of the problem is the only way you can ever fully get over it, with no residue. Homeopathy offers you and your animals, the deepest form of health care, the most thorough, the most gentle, the safest. No side effects, no chemical toxins. It gently supports what the body is already trying to do, that is undo the cause and restore the immune system back into full working order. 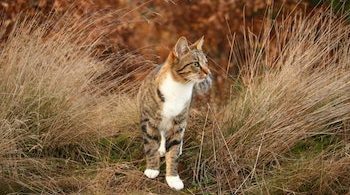 Feline inflammatory bowel disease can fade into the obscurities of the past when you feed your cat as a panther would eat and when you treat your cat holistically, particularly with homeopathy. Natural cat health is all about working WITH nature, as Nature is already perfect.